Hurray, look at the beautiful ocean of flowers! 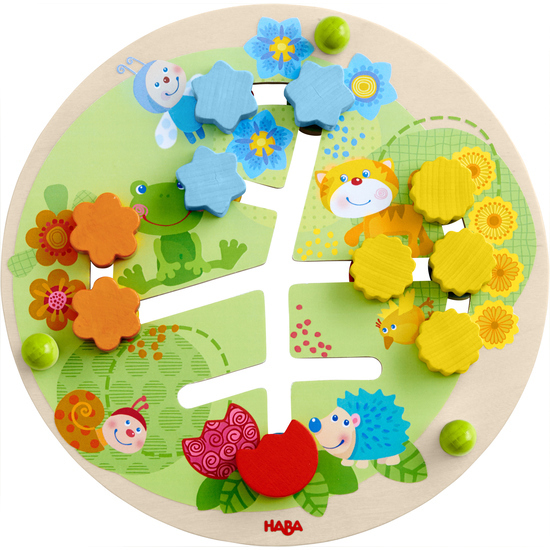 Children can slide the flowers around any way they please or match the motifs to the corresponding colors. Turning the slide board around lets children playfully learn numbers 1 to 4.